It’s the last week before bowl season, and though much has been decided, there’s at least a modicum of drama left. Let’s get all judgmental and count down the eight best games. Once in a while, as a kid, I would invite my neighbor up to play basketball. He wasn’t very good, but there was no one else around. I’d regret it almost immediately; he’d feel bad for not playing well, I’d feel bad for beating him, and then I’d try to let him win a game to make it less horrible, but it ended up making it more horrible because he knew what I was doing. Still, we’d have to keep going to maintain the whole facade, to make sure no feelings were hurt. But why were we playing? What was the point? What I’m trying to say is, that neighbor’s name was Rick Neuheisel (gasp!). All I know is that Louisville beat South Florida to finish at 5-2, and West Virginia and Cincinnati each won to move to 4-2. There’s no conference championship here, so if the Mountaineers and Bearcats both win next week, we’ll have a three-way tie. In that case, West Virginia would get the BCS berth by virtue of having the highest BCS ranking. If only Cincinnati wins next weekend, they Bearcats get the BCS bowl because they beat Louisville head-to-head. If only West Virginia wins, the BCS bowl goes to Louisville, which beat the Mountaineers earlier this season. You with me? Personally, I’m picking ‘Bama to win the Big East. I just have a feeling. Is it wrong to want a little certainty? I don’t think I’ve rooted for LSU once this entire season, but I am now. It would be annoying to me, with everything else going on, if the Tigers lost this game and entered the BCS championship with one loss. I’m just so emotionally ravaged by the BCS that I’m suing for peace. I am the South in the final year of the Civil War. I keep waking up screaming the word “Appomattox!” I want my garden back. I surrender. Anyhow, LSU will annihilate Georgia in a brutal fashion. The Bulldogs haven’t faced any of the SEC West bigwigs yet, and it’s mini-reckoning time. The Hokies got treated to a helping of shame when these teams met in Blacksburg, but times have changed. After playing the darling for more than half a season, the Tigers are reeling. In a way, their journey has been like that of the bengal tiger, except that I’m not overly familiar with what’s going in that latter situation. But it’s not as good as it used to be, I can tell you that much. Here, Tech will play the role of the Bengalese poacher and hasten the path to extinction (dropping from the rankings). You’re welcome for the perfect metaphor. At this point, I really want Robert Griffin III to win the Heisman, if for no other reason than to prevent the rank absurdity of Andrew Luck winning on hype. The Oklahoma game was a big step for him, and now he’s got a week in the spotlight without Luck to add one more signature win to the accolades. In other news, the winner of this game is going to be quite happy with its season. They might even go to The Best Little Whorehouse in Texas. I’m talking about the musical! Come on! They might go see the musical! You guys are sick. The Case Keenum universe is vast and sprawling, and you can only get from one place to another THROUGH THE AIR. I’m not exactly sure what I’m talking about, but I think the Cougars will win this game by about 25, and I can’t wait to see them play a team that is actually good in a BCS bowl. What happens if they win? What if they trounce a really good team like Oklahoma State? What then? Why can’t they be national champions? The answer: Obamacare. Hail Mary rematch extravaganza! I could be wrong about this, but I’m pretty sure both teams are just going to exchange Hail Marys from the 50-yard line for three hours. And I can’t wait. I think there’s one play in the Badger playbook where Russell Wilson throws a Hail Mary to himself. Scientists say it can’t be done. De facto Big 12 championship, and the last hope for anyone who hates the idea of an SEC rematch in the title game. Is it too late in the year to make Brandon Weeden a sort of cult hero? He’s the elder statesman of college football, at least as far as players as concerned. Plus, he looks like a young Ron Howard. Or at least like a young Ron Howard’s athletic older brother. 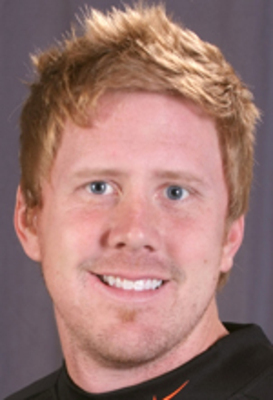 Weeden could grow up to be a gentleman farmer and an Oklahoma senator. I’m telling you, big things are coming for this guy, and he’ll remember if you’re not on board early.